According to statistics from the National Coalition Against Domestic Violence there are upwards of 20 people per minute who are suffering from physical violence by an intimate partner, and that is just in the United States! 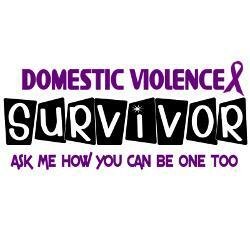 As a survivor it pains my heart to think that right now in this moment at least 20 people are being physically abused. It is my desire for this website to be a place of hope for those who are in the thick of it and don’t know that there is a way out. I don’t have all the answers, I want to be perfectly clear on that because I am not an expert, I am not a professional nor am I able to help everyone. Actually I honestly cannot help anyone. What I can do is point them to resources where people can find help and hope. I can share my story. I can point to Jesus Christ who delivered me out of every form of abuse that I endured over the years. This page will be used to provide resources that I have found on the web. As time goes on this page will grow but for now here are a couple links to consider checking out.